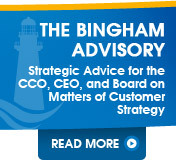 The Chief Customer Officer Council helps you avoid experimenting at customers’ expense and achieve solid customer results—faster. 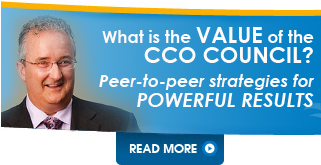 "The CCO Council offers tremendous value to me, personally and professionally. The in-depth discussions are invaluable. I get immediate answers to my most pressing problems. I can learn from brilliant people what is working or not, without dragging my customers through my mistakes. With this collective wisdom, I am guaranteed to be successful!" "If the Council had existed then, I might have been able to accomplish in three years what took me six."